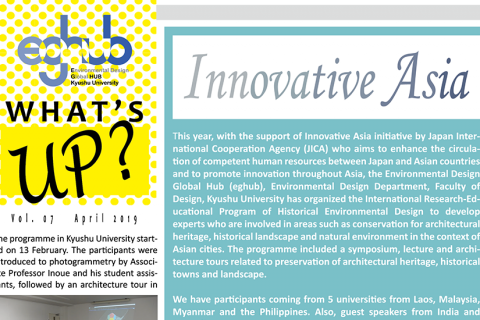 We will like to bring you the eghub Newsletter Vol.3, April issue. 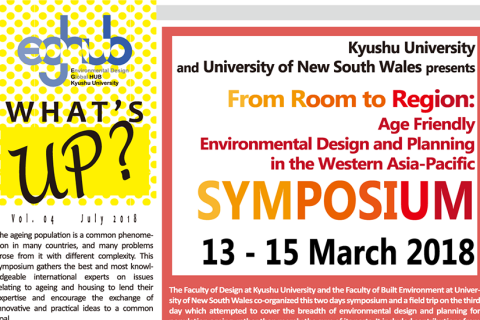 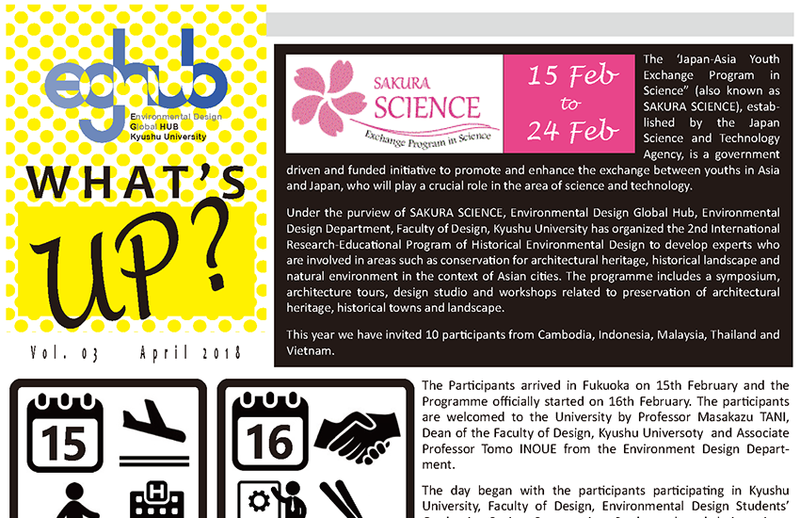 This issue we featured The ‘Japan-Asia Youth Exchange Program in Science” (also known as SAKURA SCIENCE), open lecture by Dr. Nicole Gardner of University of New South Wales (UNSW), the workshop jointly conducted by Kyushu University and idKAIST (KAIST’s Department of Industrial Design), the joint research on historical building in Chittagong, Bangladesh, with Kyushu University and the National University of Singapore (NUS). 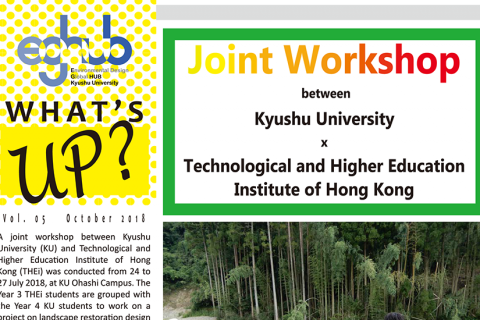 This newsletter will serve as a platform for us to connect with our partners from the foreign universities and organisation, with the hope to foster future collaboration. 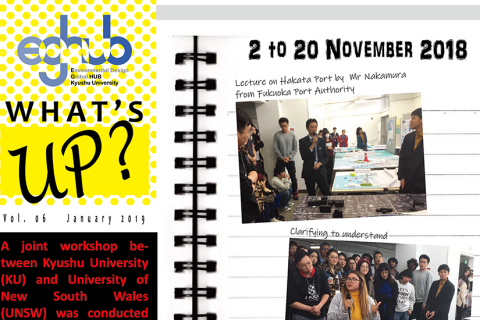 It will be issued every quarterly through emails, and it can also be downloaded from here.